Tallinn, Estonia’s capital sits on the Baltic Sea, just a short hop, skip and a jump from Finland. In fact it has been known for the sea to freeze over making it possible to walk across! 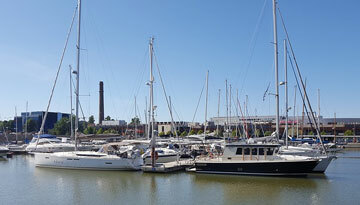 Over the last decade tourism to Tallinn has increased steadily and its port is a popular stop for cruises bringing over half a million passengers to shore each year. For a small city it packs a big punch, Tallinn has plenty to offer the European city breaker. Tallinn's Old Town is listed as a UNESCO World Heritage Site, with its cobbled streets and fortified walls it is one of the most preserved medieval towns in Europe. Toompea - the upper town with its castle and cathedrals is a great place to wander and marvel at the architecture, All-linn the lower town is home to the Main Square where the renowned Christmas Market is held which spans from late November right through to the New Year. With its fortified walls and numerous cafés and restaurants it is a great place for some al-fresco dining, a Skinny Capu’ or a lunch time beer. At night Tallinn really comes alive with an amazing amount of bars and clubs and even a few casinos, it is easy to see why it has become a popular weekend break destination to rival the likes of Amsterdam or Prague, although recently the stag and hen parties have dropped in numbers and Tallinn has once again returned back to its sophisticated past. Understandably the winters in Tallinn are cold, sitting on The Baltic Sea, however the summers are mild and you will find the locals basking on the beach at Pirita, just a few kilometres from the town but a vast contrast to the city and in fact it is a worthwhile summer holiday destination. So if you are looking for a city break that has one foot in the medieval time zone and one in the present with a side dash of beach basking Tallinn is the destination for you. Ryanair operataes a cheap flight to Tallinn from Stansted at just £53, return. 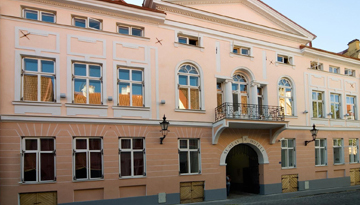 It's a simple charming hotel at Tallinn offers a range of facilities and deals. 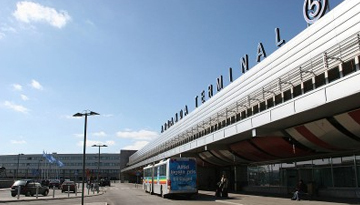 Fly from Gatwick - Tallinn & Stay for 7 nights with 3 star accommodation. Bed & Breakfast.